If school is not always easy for your child, you may have mixed feelings about using summertime for learning. While we all look forward to rest and relaxation, parents of struggling students have an opportunity to use summer to give their child the ultimate gift of learning — to ensure a great next year. 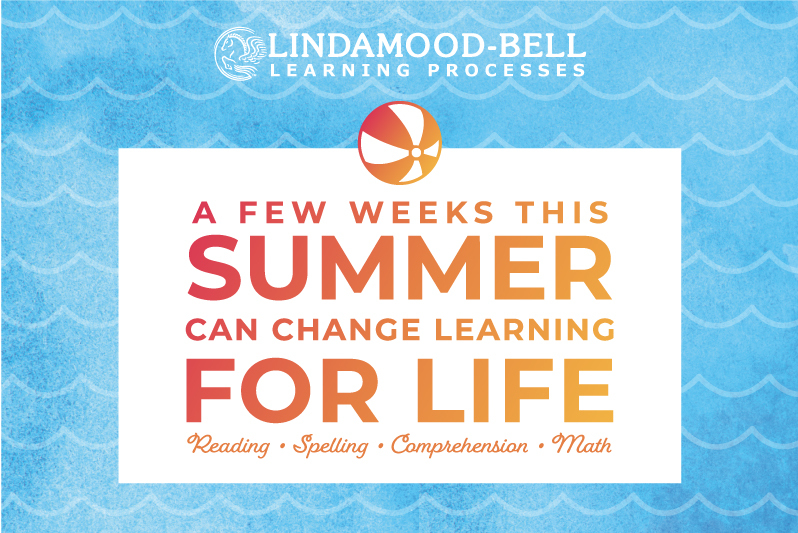 Summer instruction at Lindamood-Bell is individualized to meet the needs of each student. Students who are currently struggling with reading, comprehension or math can use a few weeks this summer to jump-start a new or ongoing intensive instruction plan. Some may benefit from an enrichment program to advance in areas like writing, study skills, and test taking. Alumni students might attend for help applying their skills to a new task like story problems or reading fluency. If school is hard for your child, you need to know why and that there is help. Identifying strengths and weaknesses is the first step toward helping your child learn to their potential. A learning evaluation will uncover the strengths and weaknesses that are affecting school. In a thorough results consultation, we will discuss an individualized learning plan to make school easier. Some students come to us with a previous diagnosis such as dyslexia, autism spectrum disorder, or a general learning challenge—and we make a difference for each of them. In just a few weeks, our learning center can help make your child feel more confident and prepared for school. Because the gift of learning is one of the greatest things you can give your child, we have a special to help you get started. $100 off the first week of instruction. Savings apply at all Learning Centers in the US, Singapore, and the UK (£100). Find the location near you to get started.